What does one do when parts of one's body parts shrink and/or drop off? The Amphiuma's answer appears to be "grin and bear it". 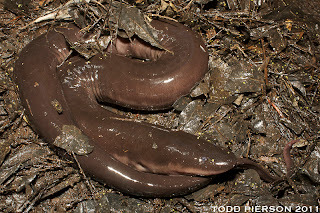 There are 3 kinds of Amphiuma, all from southeastern United States. They're all long, fat and slimy, acquiring names like "Conger Eel" and "Congo Snake" and lots of others. But they don't have fins. They DO have 4 legs, but they're utterly puny. 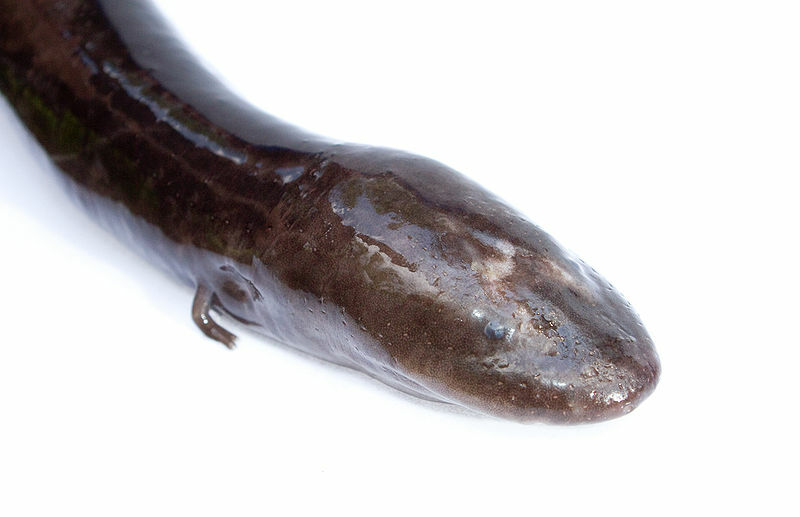 The Three-toed Amphiuma reaches about 1 metre (41 inches) in length. 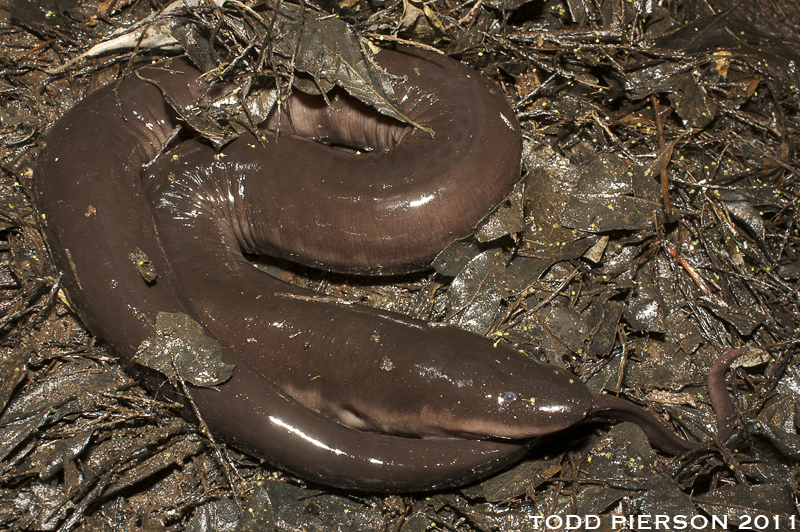 The Two-toed Amphiuma is the biggest at up to 116 cm (45 inches) long. Its legs are still under an inch long, though. The One-toed Ampiuma is the smallest, at just 33 cm (12.9 inches) maximum, and usually quite a lot less. These are the least known of the lot and they were only discovered in 1950. They all have tiny eyes but no eyelids. No tongue, either. None of this stops them from being predators of all manner of fish, frogs, worms, crustaceans and pretty much anything else they can get their powerful biting jaws into. Mostly nocturnal, they use their lateral line to sense movement in the water around them. So long as there are no snakes or alligators in the area, large Amphiumas can be the top predator in their murky, watery homes. Indeed, Amphiumas are pretty much entirely aquatic. 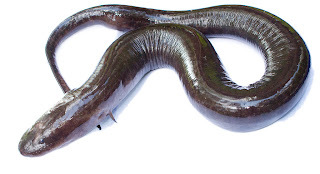 They can swim and also dig into the soft mud, which can allow them to survive dry periods by having a nap in the moist earth below the drying surface. After mating, they lay about 200 eggs in a cavity beneath logs or vegetation. Coiling around them, they brood their eggs for several months until they hatch. The babies swim off, tiny worms with tiny legs and ambitions of one day becoming big, fat snakes. With tiny legs. hey there. i got a message when i tried to open your site the first time of some malicious software which caused my internet feed to shut down. just fyi. Hey, don't make fun of One-Kidney Sidney! He gave it to a sick child! 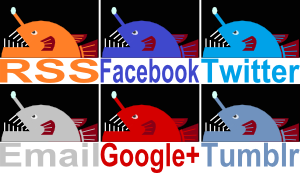 BTW, I didn't get any warnings about malicious software but it's still worth checking. Never hurts to check. I know he gave it to a sick child! Everyone knows he gave it to a sick child! The guy won't SHUT UP about the sick child! Well the kid was pretty sick... just sayin'.